As I’ve said before, one of the things you notice when you do a lot of research in a particular field is that certain pieces of information are repeated over and over again even though they’re wrong. I’ve made those mistakes myself — some times that I know about and probably others I have yet to discover — so I can’t claim any particular moral high ground here, but when I recognize one of these errors, I try to rectify it as best I can. The old adage, “Success has many fathers, but failure is an orphan,” could well have been coined for this week’s subject. Immediately embraced by everyone but sports car purists and Ford accountants, it remains among the most beloved (and most coveted) of all American cars. In the wake of its success, nearly everyone involved with its conception claimed credit for it, slighting each other and playing up their own contributions. 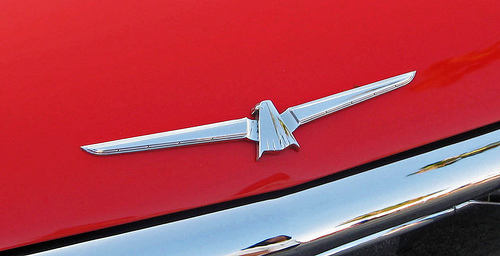 This week, we try to sort out the origins of the 1955 Ford Thunderbird. As enjoyable as convertibles can be on beautiful, sunny summer days, they can be a terrible burden any other time, when they are too often drafty, noisy, and vulnerable. We suspect that anyone who’s ever owned a convertible has occasionally wished they could magically transform it into a regular coupe on days when the sun is too hot or the wind too cold. 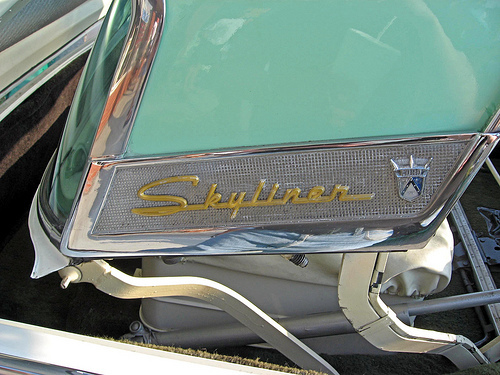 Fifty years ago, the Ford Motor Company offered a car that could do exactly that, creating a piece of mechanical showmanship that has only recently been surpassed: the 1957-1959 Ford Skyliner retractable hardtop. In late 1959, Ford Motor Company released the smallest car it had sold in the U.S. since the 1930s: the 1960 Ford Falcon. 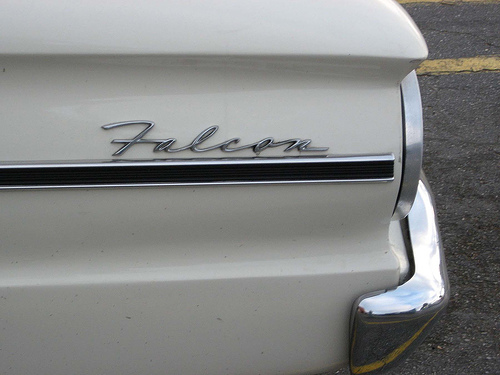 The Falcon proved to be the most successful of Detroit’s new breed of compact cars and it gave birth to many spin-offs and derivatives, from the Ford Mustang to the plush Granada. 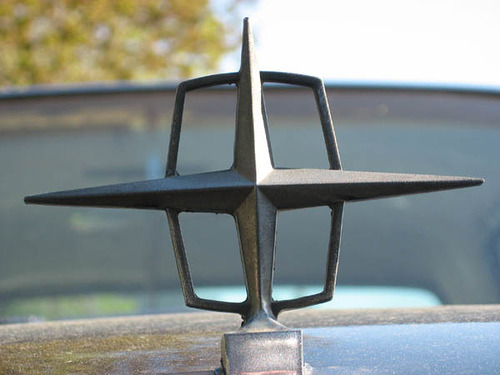 More significantly, though, the Falcon marked the flash point of a conflict between two different philosophies of management and two very different men: Lido Anthony Iacocca and Robert Strange McNamara. 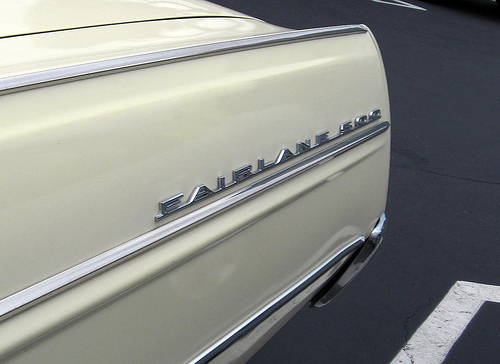 This week, the history of the 1960-1970 American Ford Falcon. Like its younger sibling, the Ford Mustang, the Ford Thunderbird enjoys an impressive and loyal fan base whose adulation is somewhat out of proportion to the car’s tangible virtues. 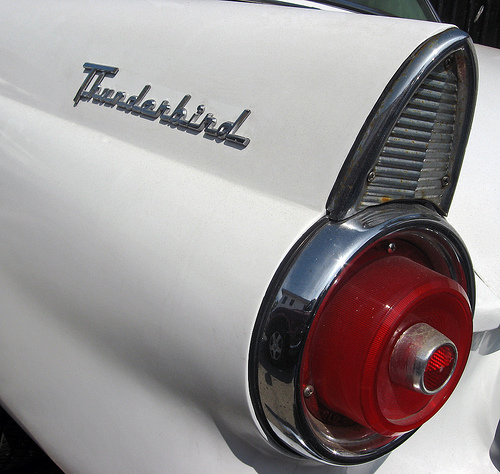 Admittedly, any model that survives for 50 years and 13 distinct generations has to have something going for it, but the T-Bird lacks many of the qualities that tend to make a car a classic. Particularly in their later, four-seat incarnations, Thunderbirds never had blazing performance, they’re hardly rare, and as for their styling, let us just say that they often flirted with the ragged edges of good taste. Still, people loved them and these cars inspired a host of imitators, so they were doing something right. Let’s take a look at the tumultuous and occasionally tacky history of the 1958-1966 Ford Thunderbird.